Administrative Law Judge (ALJ) Adrienne L. Krikorian, Office of Administrative Hearings (OAH), State of California, heard this matter on November 12 and 13, 2013, at Van Nuys, California. Student’s mother (Parent) represented Student at the hearing and testified as Student’s only witness. A Spanish language interpreter assisted Parent throughout the entire hearing. 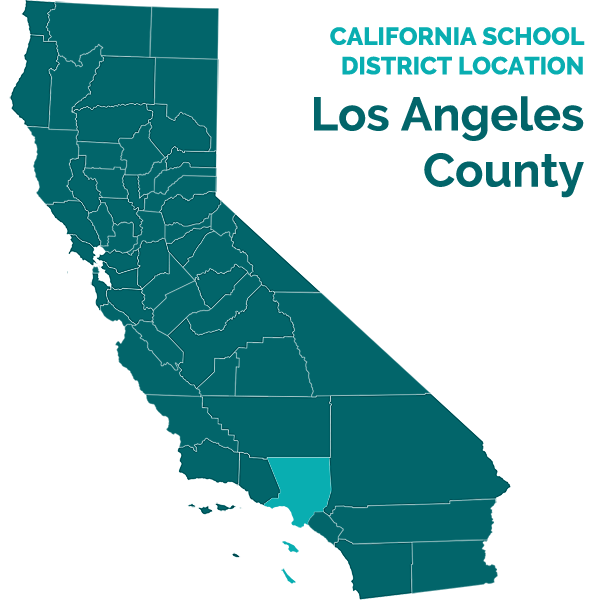 Attorney Patrick Balucan represented the Los Angeles Unified School District (District). Maria Ek-Ewell, specialist in the District’s Compliance Support and Monitoring Unit of the Special Education Department attended the entire hearing on behalf of the District. Student filed a request for due process hearing on September 11, 2013. OAH granted a continuance of the due process hearing on October 28, 2013. At the hearing, the ALJ received sworn testimony and documentary evidence. At the end of the hearing, the ALJ granted a continuance at the parties’ request until November 22, 2013, to allow the parties time to file a closing brief. The parties submitted closing briefs within the time allowed and the record was closed on November 22, 2013. Did District deny Student a free appropriate public education (FAPE) in his January 18, 2013 individualized education program (IEP) and during the 2012-2013 and 2013-2014 school years by failing to offer Student home-to-school transportation services? 1. Student is a seven-year-old boy who lives with his parents and sister within the District’s boundaries. He is eligible for special education under the category of specific learning disability. At the time of the hearing, Student’s home school was Reseda Elementary School (Reseda), which is two blocks from Student’s home. 2. During first grade in the 2012-2013 school year, Student attended a special day class (SDC) at Blythe Elementary School (Blythe). The District provided Student home-to-school transportation services as part of his IEP that was in effect at the beginning of the school year. During the 2012-2013 school year, the bus picked Student up at home at 7:45 a.m., and delivered him to Blythe at 7:50 a.m. Student continued to attend the SDC at Blythe at the beginning the 2013-2014 school year. 3. On January 18, 2013, District held an annual IEP team meeting. Parent attended the IEP meeting and was assisted by an interpreter. District’s assistant principal Joyce Miles and Student’s special education teacher Kimberly Morris also attended. Ms. Miles has been employed by District for 28 years as an educator and administrator. At all relevant times, she was the assistant principal and elementary instruction specialist at Blythe and knew Student from the beginning of the 2012 school year. Ms. Morris has been a special education teacher at Blythe for seven years, and at the time of the IEP had been Student’s teacher since the beginning of the first grade. 4. The IEP team reviewed Student’s present levels of performance (PLOP). He made progress in all academic areas. In the area of behavior he required occasional redirection to keep him on task but his behaviors had improved since the beginning of the school year. He was friendly, communicative with his peers and adults, had friends, did not fight, stayed focused in the classroom during lessons with some redirection, did not wander or elope from the classroom, understood and followed classroom rules, could communicate his needs and wants, and did not pose any atypical behavioral problems. 5. The IEP team offered continued placement in the SDC at Blythe, 120 minutes of speech and language services per month, accommodations and supports including a behavioral support plan, and extended school year. Additionally, because the offered program was not at Reseda, which was Student’s home school, the IEP team offered Student school-to-school transportation between Reseda and Blythe. Parent consented to the IEP. 6. District did not immediately implement the school-to-school transportation offered in the January 18, 2013 IEP. Instead, District continued to provide Student with home-to-school transportation until the end of the 2012-2013 regular school year. At the beginning of summer 2013, Parent received a letter from the District’s transportation department advising her that Student would be transported round trip between Reseda and Blythe for the 2013-2014 school year. This was the first time, even though she had consented to the IEP, that Parent understood Student’s transportation plan was school-to-school. At this time, Parent requested home-to-school transportation, which District declined to provide. 7. The transportation plan offered by the District required Parent to drive Student to Reseda by 6:55 a.m., which resulted in her having to bring his sister with them. The bus would pick Student up from Reseda around 7:00 a.m. and was scheduled to drop him off at Blythe at approximately 7:45 a.m., after picking up other students. On the return trip, the bus would pick up Student from Blythe at approximately 2:20 p.m. and deliver him to Reseda at approximately 2:55 p.m.
8. From the beginning of the 2013-2014 school year, Parent drove Student to Blythe and did not use the District-offered transportation plan. Parent would first take Student to school before 7:53 a.m., after which she would take her daughter to Reseda. In the afternoons, four days a week, Student got out of school at 2:23 p.m. Parent picked him up and then drove to Reseda to pick up her daughter at approximately 2:30 p.m.
9. Parent was opposed to the offered transportation plan because Student would be on the bus for 45-50 minutes in the morning, which she felt was too long for him. Parent was concerned that, because he had never been on a bus for that period of time, Student would not behave on the bus for 45 minutes. She based her concern on reports from the bus driver during the 2012-2013 school year, that on two occasions Student had to be reminded to sit in his seat with seat belts after he got up without permission; and on a 2010 diagnosis from the North Valley Regional Center that Student is autistic. She was also concerned about whether Reseda provided adult supervision at the bus drop-off point. 10. Student’s sister was receiving therapies after school. The home-to-school transportation plan implemented in the 2012-2013 school year enabled Parent to pick up Student’s sister from Reseda at 2:30 p.m. and get her home by 3:00 p.m. for scheduled therapies. Parent was concerned that District’s transportation plan for Student negatively impacted her daughter, whose special needs were more severe than Student’s. In particular, because Student’s sister finished school at 2:30 p.m., Parent would have to wait with her at Reseda until Student’s bus arrived at approximately 2:55 p.m. The wait would be challenging for her daughter and would result in the daughter being late for after-school therapy. Parent did not feel that it was fair to have to have her daughter wait 25 minutes for Student’s bus to arrive at Reseda. 11. Ms. Miles and Ms. Morris were both of the opinion that Student could sit on a bus for 45 minutes without impacting his safety or that of the other students. Ms. Miles believed that 45 minutes was within the acceptable range of time for children with needs like Student’s to be on a bus. Student did not have any atypical behaviors in Ms. Morris’ class that she felt would put him at risk on the bus. His behavior and ability to follow direction had improved from the first grade. He was receptive to redirection when he was not following rules by learning the rules, repeating the rules, and following them. He was ambulatory, able to communicate with adults and peers to express his needs if necessary, and did not wander. He had no relevant health issues. The IEP team did not see anything in his PLOPs that indicated a concern in the area of behavior as it related to transportation services. The January 18, 2013 IEP team concluded that Student was not a candidate for home-to-school transportation based on those factors. Home-to-school transportation is appropriate for children who are non-ambulatory, have significant medical needs and/or atypical behaviors including elopement, and who cannot follow directions or rules. 1. Student contends that the District denied him a FAPE by failing to offer round trip home-to-school transportation services. Specifically, Parent was concerned about Student’s potential for bad behavior on the bus; that 45 minutes was too long for him to be on the bus; that there was no adult supervision for bussed students at his home school; and that school-to-school transportation would result in inconvenience to Student’s disabled sister. The District contends that the transportation plan offered in Student’s January 18, 2013 IEP complied with the Individuals with Disability Education Act (IDEA) and its associated regulations and therefore the IEP offer was a FAPE. 9. Student failed to establish by a preponderance of the evidence that the District denied him a FAPE by offering him transportation from his home school to his school of attendance, rather than directly from his home to his school of attendance. School districts must only provide transportation to a disabled child to address his or her educational needs, and not to accommodate parent or sibling convenience or preference. 10. Here, the evidence did not support Parent’s contention that Student could not be on a bus for 45 minutes or that the drop-off point at Reseda was not supervised by an adult. Although Parent speculated that Student could not safely ride the bus, during the 2012-2013 school year the bus driver reported on only two occasions that Student did not remain seated and was instructed to return to his seat. Parent offered no evidence that an actual safety issue existed if Student were to be on the bus for 45 minutes or that he had any specific behavioral or health needs that required home-to-school transportation. She offered no evidence that the IEP team had any knowledge at the time of the January 18, 2013 IEP meeting of any unique needs that required home-to-school transportation, such as wandering, inability to communicate, health issues, or lack of mobility. She also offered no evidence that Reseda did not have adult supervision at the bus drop-off point for Student or that a safety issue existed at the drop-off point. While Parent’s concerns about Student’s ability to sit on a bus for 45 minutes might be valid, those concerns without credible evidence to support them did not rise to the level of meeting Student’s burden of establishing that District’s offer of school-to-school transportation was a denial of FAPE. 11. On the other hand, both Ms. Miles, and Ms. Morris, who knew and worked with Student on a daily basis at school, credibly testified that Student did not demonstrate the type of behavior or other needs that would have led the IEP team to conclude that home-to-school transportation was appropriate. He did not wander away, was mobile, could communicate his needs when necessary, had friends, did not fight, understood the meaning of rules, learned new rules when taught, and generally followed school rules when aware of them. He had no health issues that required monitoring, and his behaviors were not atypical for a child with his disabilities. At the time of the IEP meeting, the IEP team determined that Student made progress in the area of behavior and concluded that school-to-school transportation was an appropriate related service. 12. Similarly, Parent’s concerns about scheduling and the needs of Student’s sister do not support a finding that home-to-school transportation was required to provide Student a FAPE. Although Parent was concerned that the transportation plan offered to Student in the January 18, 2013 IEP impacted how she cared for and scheduled therapies for his disabled sister, District was not obligated under the IDEA to provide Student with a transportation plan to accommodate the convenience of his sister or his mother. Student’s IEP team’s obligation under the IDEA was to consider Student’s unique needs, and to make an appropriate offer of placement and related services for Student, which it did. 13. Student failed to meet his burden of establishing by the preponderance of the evidence that District denied him a FAPE by declining to offer him home-to-school transportation in his January 18, 2013 IEP. Education Code section 56507, subdivision (d), requires that this Decision indicate the extent to which each party prevailed on each issue heard and decided in this due process matter. The District prevailed as to the only issue that was heard and decided in this case.